Your Hero. Your Team. Your Moment. 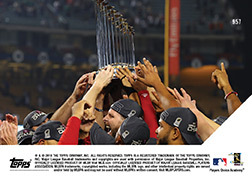 TOPPS NOW® celebrates the greatest moments in Sports and Entertainment... as they happen! 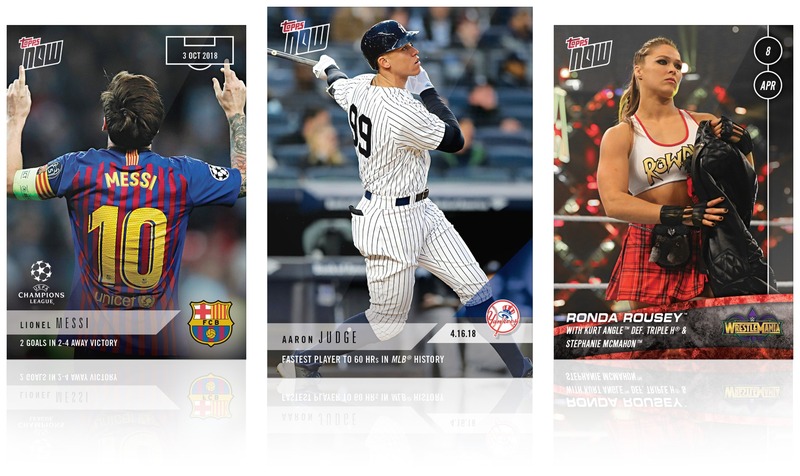 TOPPS NOW® trading cards are available for 24 hours only, offered exclusively on Topps.com, and include Free Shipping. Print runs of every card are announced on Topps.com so you know how rare your cards are! Enjoy the thrill of collecting your favorite heroes, teams, and moments every step of the way with TOPPS NOW®! Better Hurry! TOPPS NOW® cards are available for just 24 hours, only at Topps.com. Receive Free Shipping on all TOPPS NOW® cards when you select the SmartPost shipping option. 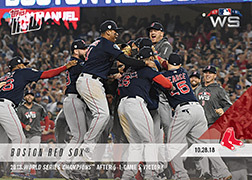 Check the TOPPS NOW® Archive on Topps.com to see the exact print run of every card. Curious how rare your TOPPS NOW® card is? Want to see every Cubs moment from their 2016 World Series run, or every Aaron Judge moment from his rookie season? 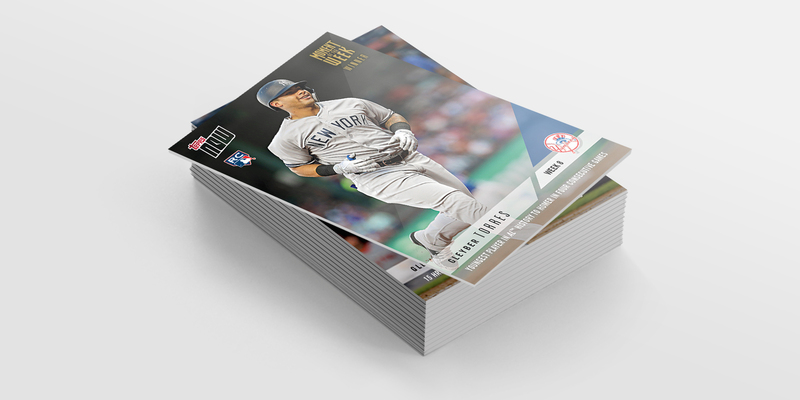 The TOPPS NOW® Archive is a catalogue of every card since the program's inception in 2016. The print run of every card sold is added to the Archive, so you can check daily to see exactly how many of each card is printed. 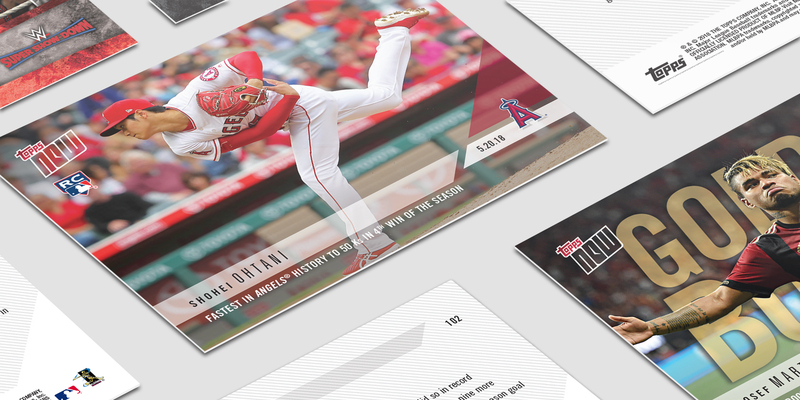 Filter by print run quantity, team, player, year and more to find exactly what you're looking for across all of our TOPPS NOW® brands. TOPPS NOW® MLB Moment of the Week turns the decision making over to you, the fans! Each week during the MLB season, Topps announces candidate cards for the best moments of the past week. Fans vote by purchasing their pick for best moment, and the winning card is then released to the public on Topps.com. Voters of the winning card recieve a special "Moment of the Week Winner" gold logo variation card. And if the card you voted for loses? No sweat, the transaction is cancelled.